Architectural tips from expert Paul Fendler. Paul Fendler founded Fendler + Associates, Inc. in 1989. 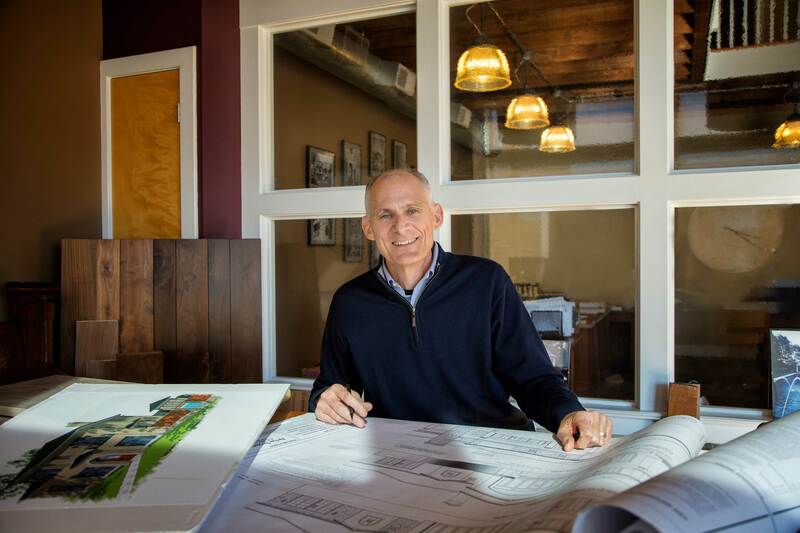 As a registered architect, his firm provides design services tailored specifically to his clients’ requirements. Fendler + Associates also offers a wide range of design and consulting services specific to the historic rehabilitation market. SLHL: Why hire an architect? Paul: An architect is a professional who can listen to your wants and needs and guide you through the design and construction process. An architect is a good resource for the latest styles, trends and building materials. Whether it’s a renovation, addition or new construction project, an architect can advise clients on the realistic expectations of the design process, schedule, building costs and the construction process. SLHL: What is the most-requested architectural element homeowners are wanting? Paul: Homeowners want spaces that are beautiful and functional. Custom millwork tends to be a common requested element. This may consist of paneled walls, built-in casework, unique ceiling treatments and well-designed cabinets. SLHL: How does your design process improve a client's experience in their home? Paul: I listen to what my clients want and involve them throughout the design process. My goal is to always design spaces that are beautiful, but equally as important to design spaces that work for them. It’s important to understand how clients use their homes, raise their children and entertain their friends. Achieving great design is a team effort and projects are successful when the client is well informed and engaged throughout the process. SLHL: What is the greatest challenge in creating a new design in an existing home? Paul: I think it’s important that any new design blend seamlessly with the existing home. While I try to put my unique mark on every project, it’s also important to respect the existing architecture and unique characteristic of the home. SLHL: What is your favorite living space to design? Paul: I love creating outdoor spaces, whether they be exterior rooms, pool houses or terraces. Extending the house to the outside offers opportunities to create unique spaces that have an impact on both the inside and outside of the home. SLHL: You specialize in historic rehabilitations and preservations. What is most challenging when working on a historic rehab project? Paul: Trying to modernize homes while preserving their historic character is always a challenge. Historic homes oftentimes have specific limitations that require unique solutions. Another challenge is finding contractors who are well versed in historic rehabilitations and capable of the craftsmanship required to work on such projects. SLHL: Why do historic rehab projects scare some homeowners, and how do you make it easier? Paul: Historic renovations can be very expensive because they usually include replicating or rehabilitating custom detailing and design. Another expense is in upgrading mechanical, electrical and plumbing systems in a way so as not to adversely affect the architectural integrity of the home. We work with many owners of historic properties to identify and secure historic state and federal tax credits to help offset the high cost of their rehabilitations. We have a historic preservationist on staff that is well versed with the intricacies of these types of projects. SLHL: What are some trends in architecture for 2018? Paul: Clients want homes that have more open floor plans, larger windows and a strong connection to outdoor living spaces. The formal dining room is being replaced by more casual eating/gathering spaces. While floor plans are becoming more casual, clients want homes that are finely detailed and thoughtfully designed. SLHL: What kind of project is your favorite? Paul: Architectural projects are a team effort that includes the homeowners, design professionals and a contractor at a minimum. My favorite projects are those where the team works well together, where everyone brings their own unique skills and where the common goal is to create the very best project for the homeowner.